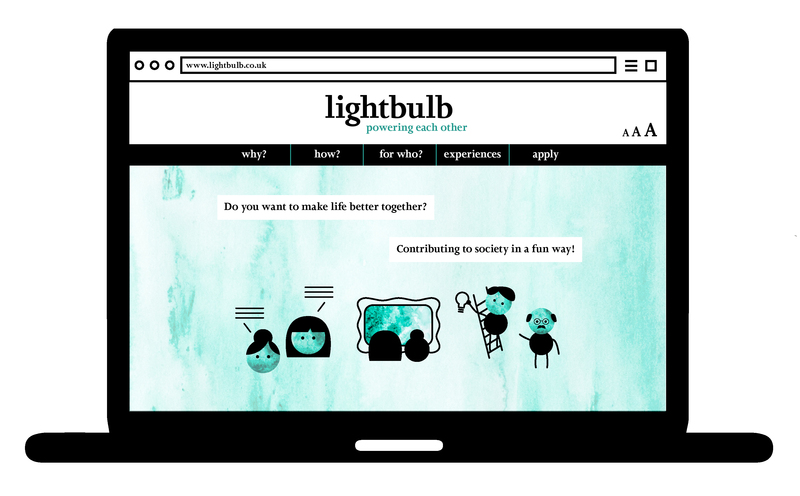 Lightbulb is a platform that connects elderly and younger people in a neighbourhood for the purpose of building up a relationship by socialising, helping each other out and doing things together so that social interaction in elderly people is improved, and thus loneliness is reduced, while at the same time a more mindful way of living in younger people is implemented, and thus all the positive effects this has on our society are encouraged. 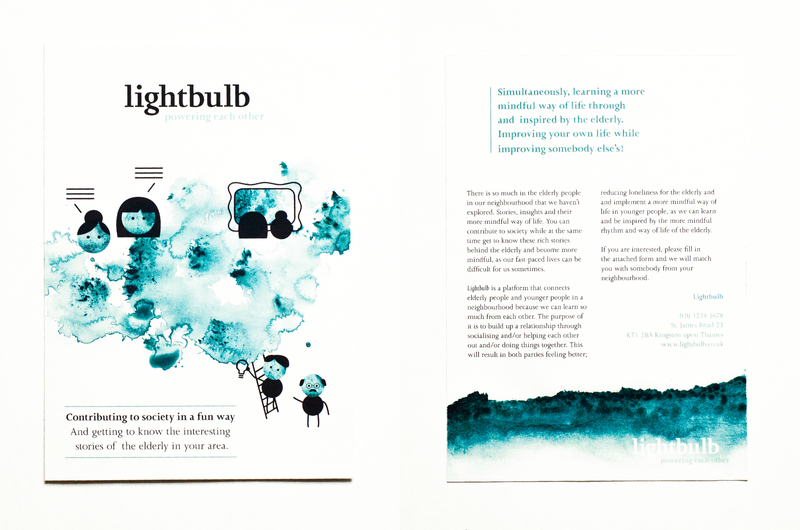 Lightbulb emerged out of thorough social research amongst the ageing population – including spending a significant amount of time eating, talking and being with a group of elderly people in a local active ageing center and really building a relationship with the target group –, which pointed out that more than anything, elderly people want somebody to listen to them, somebody they can trust and rely on. 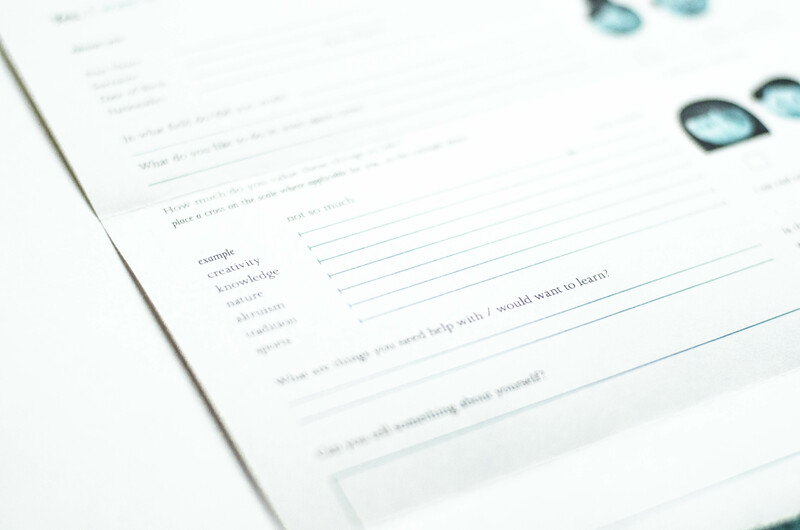 This also improves elderly asking for help, as they don’t usually feel comfortable about this. 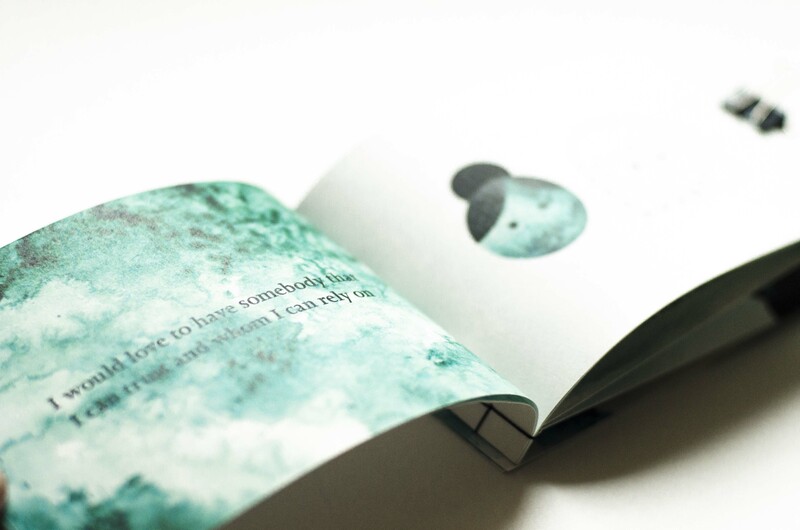 Somebody they know, trust and can ask anything is needed. 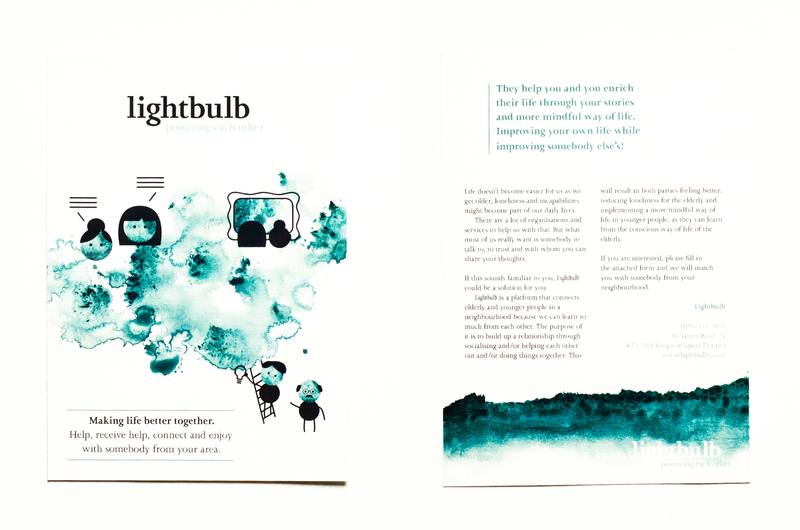 Thus, it focuses on two target audiences: the ageing population, and younger people who want to take their social responsibility and live more mindful. 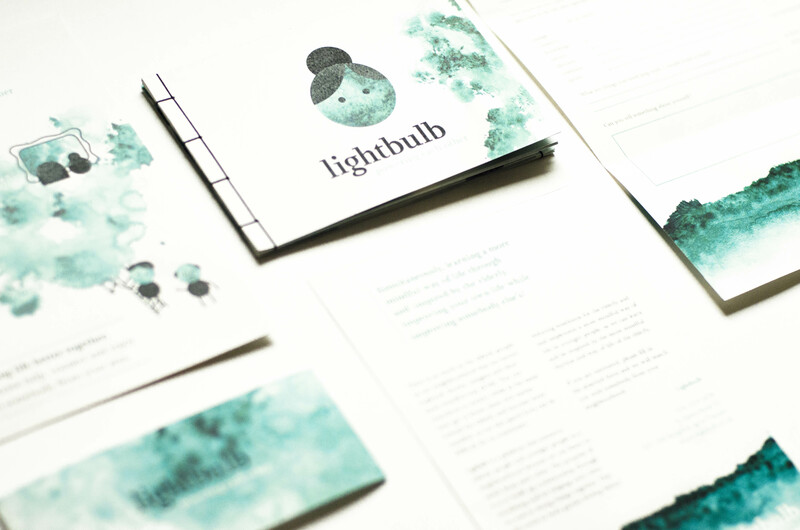 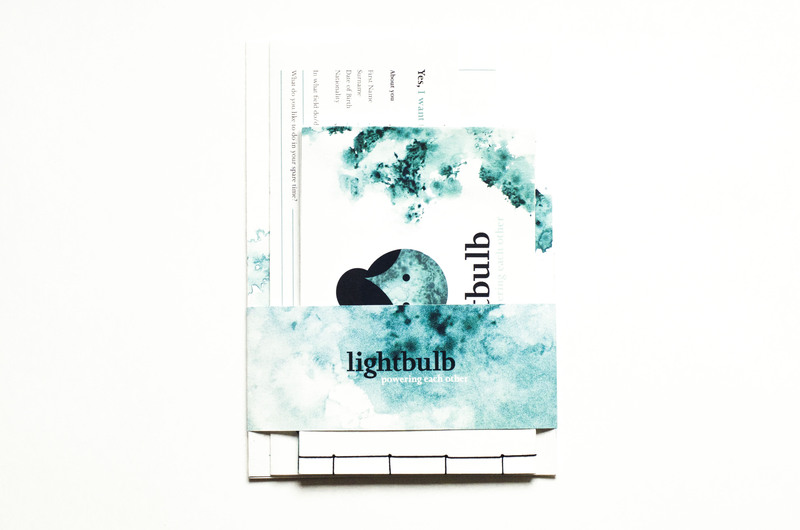 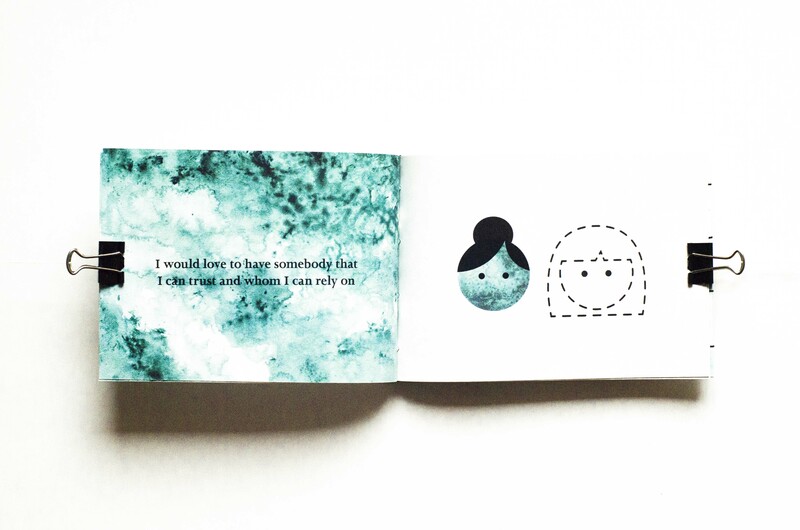 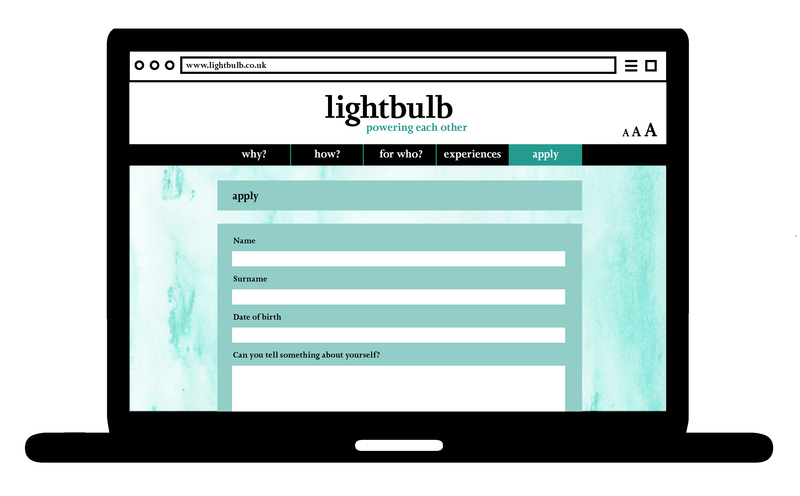 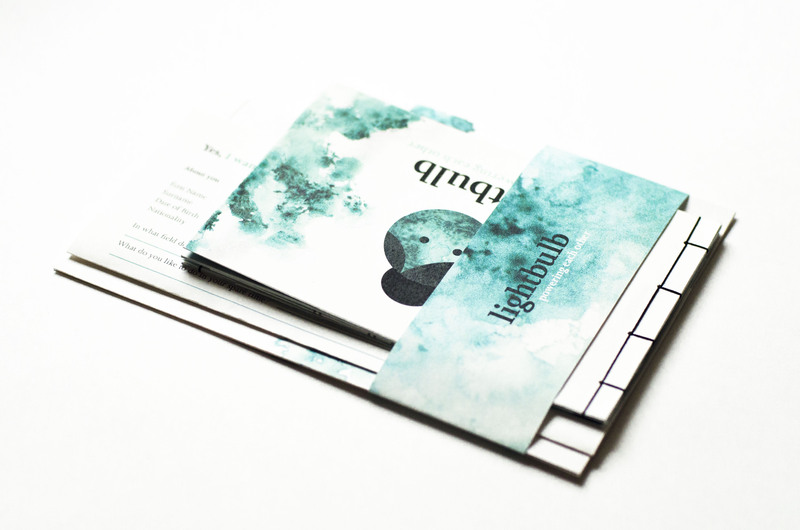 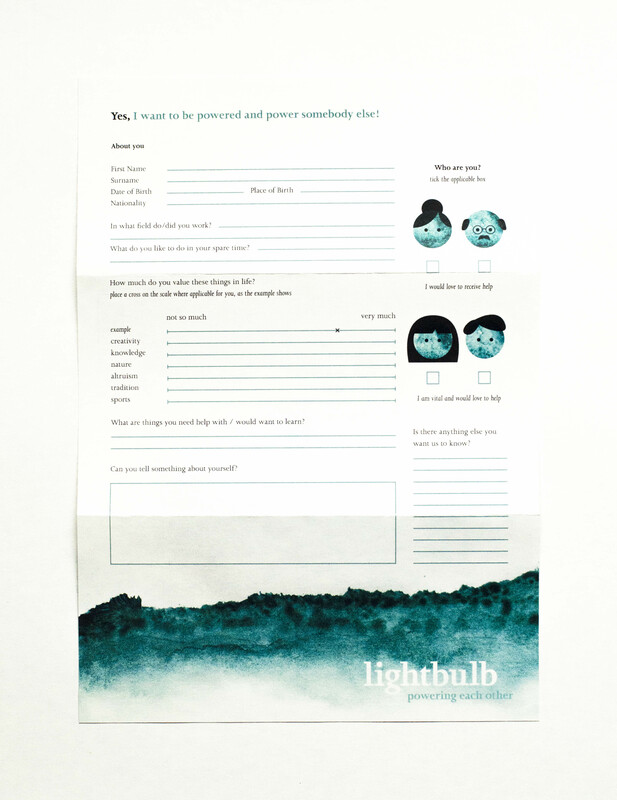 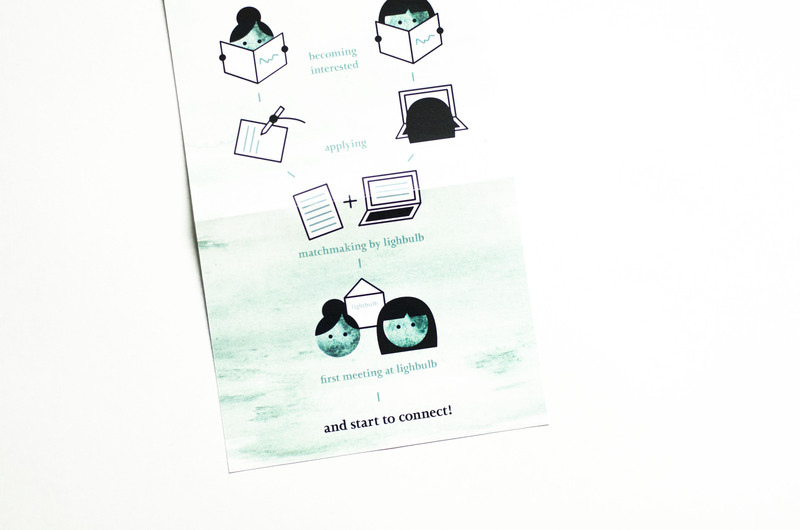 As Lightbulb focuses on local communities, the main visuals are a post package consisting out of two flyers – for both target audiences –, a two-sided booklet – for both target audiences – and an application form. 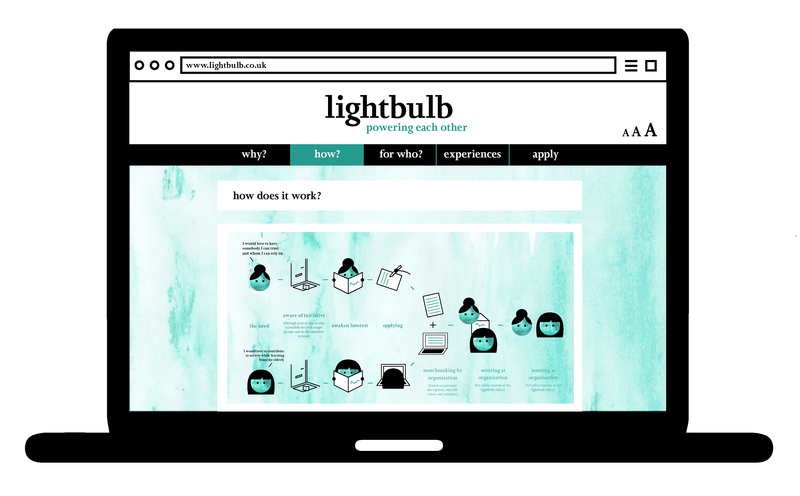 Additionally, a website is essential.